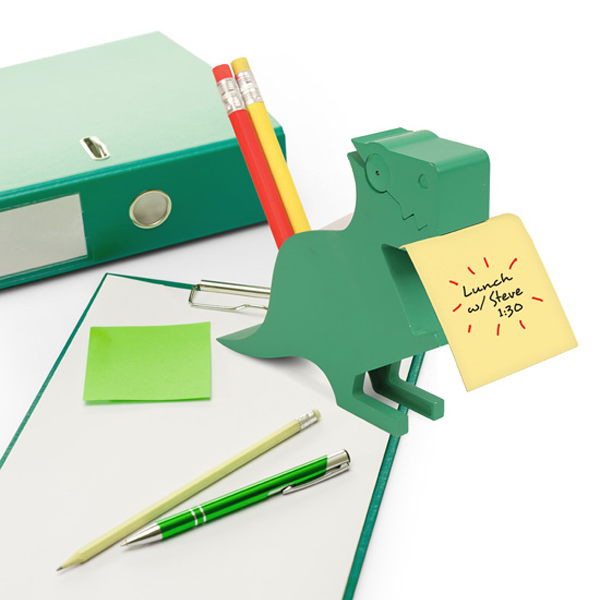 Let this colorful desk accessory hold your pens, pencils, tape, and paper clips. 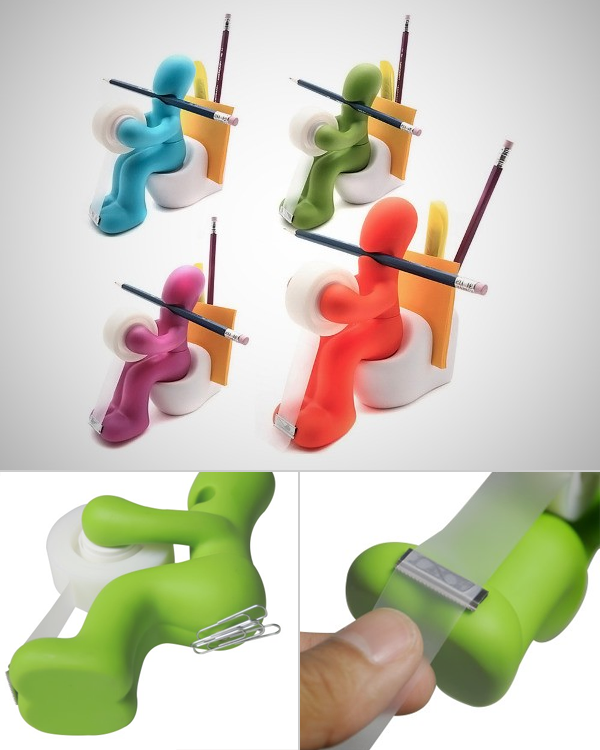 Watch as your desk becomes more organized and entertaining. If you thought the obvious display of the tape dispenser was enough, you’ll be surprised to see the paper clips on the sculpture’s magnetic behind when you disturb it from doing it’s business (since it’s sitting on the toilet). Do you remember the last time you sat at your desk to study and weren’t stressed out? No? That’s just not possible. 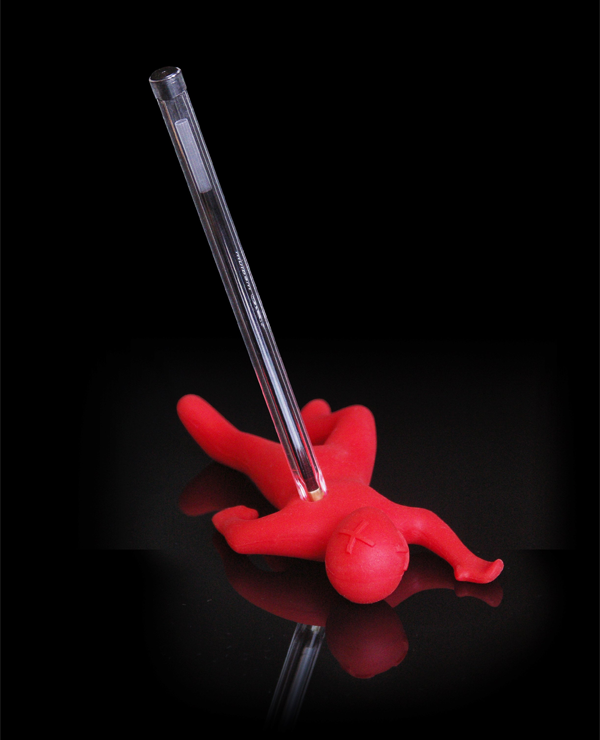 However, you can relieve that stress with the Dead Fred Pen Holder. Continuously jab your pen into him to relieve stress. The best part is that you don’t have to leave your desk, and you’ll eventually get all of your work done! Burying your head in your textbooks and locking yourself up to study is never entertaining. 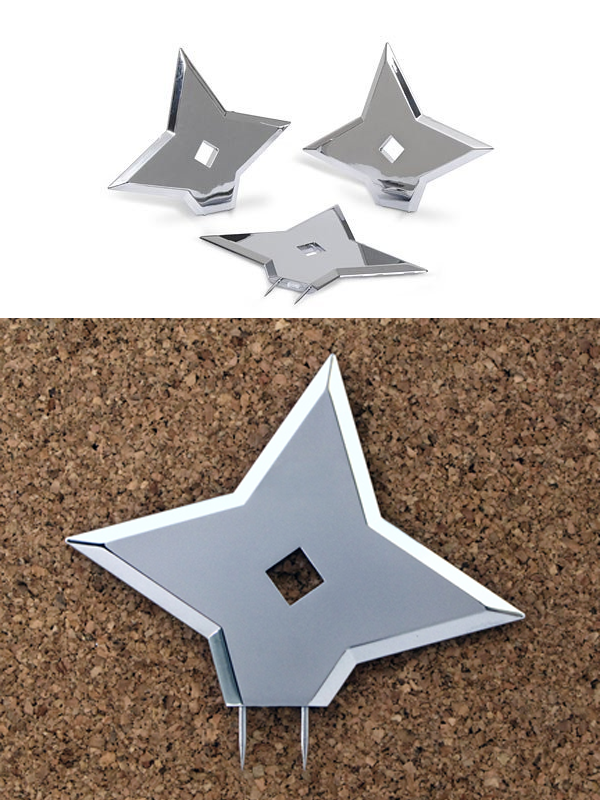 Get these Ninja Push Pins to light up your desk’s bulletin board, along with your mood. Gently push these flashy pins onto your board and save your favorite notes/memos from falling down onto your desk. Not only that, but watch these push pins draw more attention to your notes. In the end, you’ll have some cool supplies at your desk and still not get too distracted from the important stuff. You don’t have to be alone as you do your homework anymore. 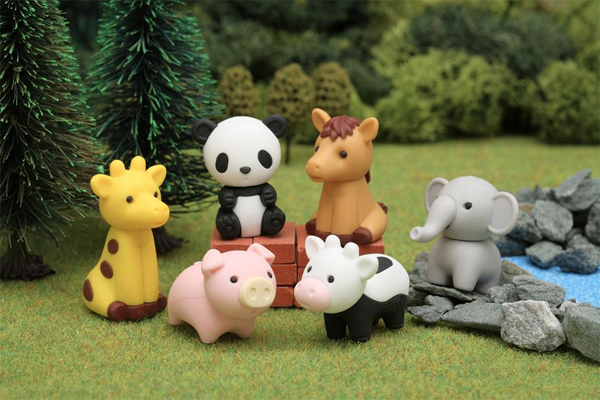 Create a tiny little world of animals on your desk with these adorable erasers. Every time you make a mistake with your pencil, you’ll have a smile on your face as you reach for one of these cute erasers. Is your desk a mess? 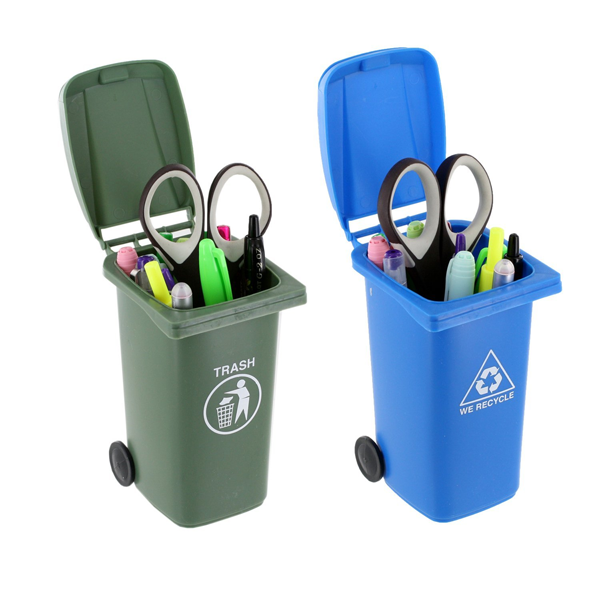 Separate the garbage from the supplies that actually work with these cute Trash & Recycle Mini Storage bins. The lids close in case you need to hide something and the bins roll when it’s time to get rid of your old supplies. Murder, she wrote and probably on this notepad too. 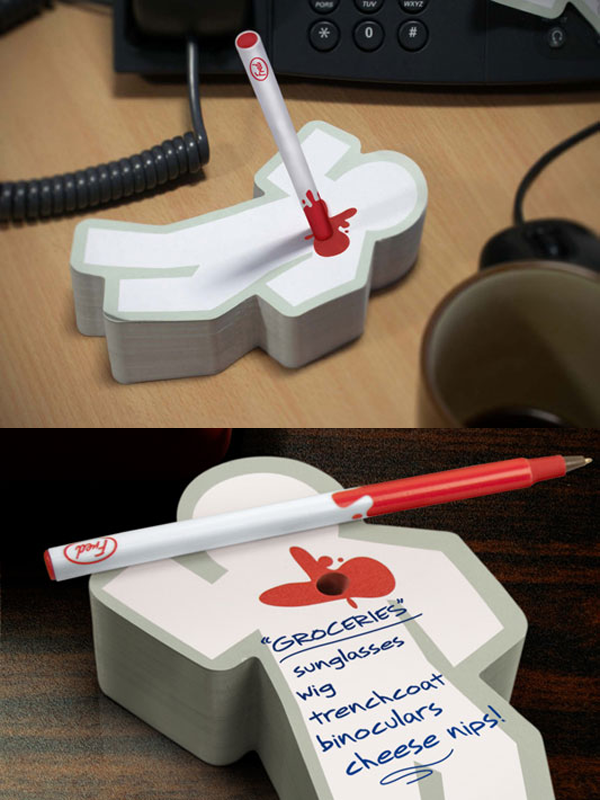 The Murder, Ink Pad & Pen Set is the notepad that you need on your desk for all your deadly serious notes. When you’re all done plotting revenge on the pad, stick back the blood spattered pen into the equally bloody hole on the notepad for storage. WHAT SHOULD YOU GIFT YOUR GEEKY FRIEND? THINK TWICE BEFORE PICKING UP THAT GIFT CARD!